There's something amazing happening every first Sunday of every month here in Italy, and that is free museum day! Every monument, museum, and place belonging to the state (like the Academia, where the David Statue is, or Palazzo Pitti as an example) has free entrance for everyone. As an architecture student (or anyone who studies arts or design), I have a free pass with my university enrollment certificate anyways, but it's nice to find great and new places to visit this day for free if, like my friend and I, you absolutely forgot the enrollment certificate at home. 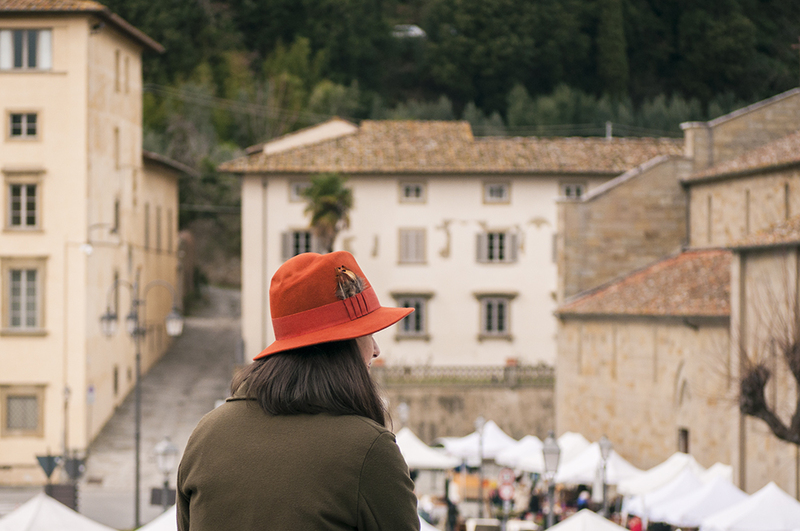 So, we headed for the town of Fiesole, which doesn't only have a very impressive archeological site with an ancient arena, but also, hosts a nice vintage & antiques market on its main square every first Sunday of the month. 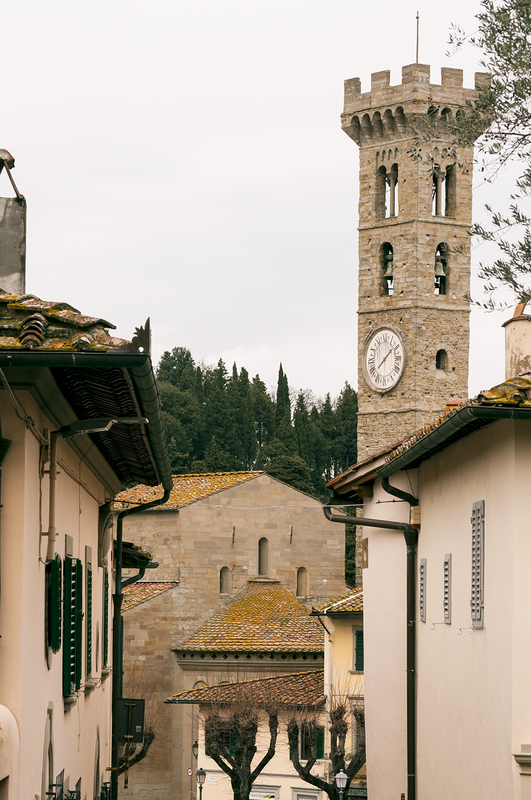 This town is a small place in the hills where you can see the whole city of Firenze from the heights, and it's actually very close and easy to get there by bus! 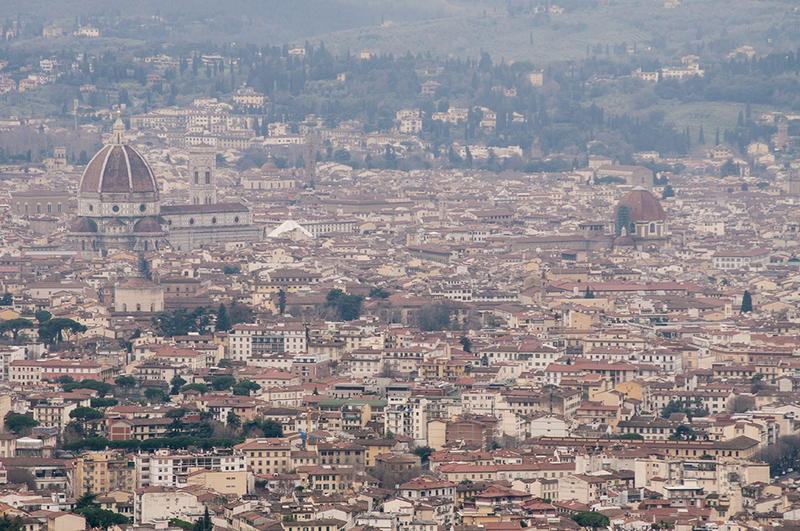 Definitively, a thing to add to your bucket list if you're planning to visit Firenze/Tuscany/Italy anytime soon. 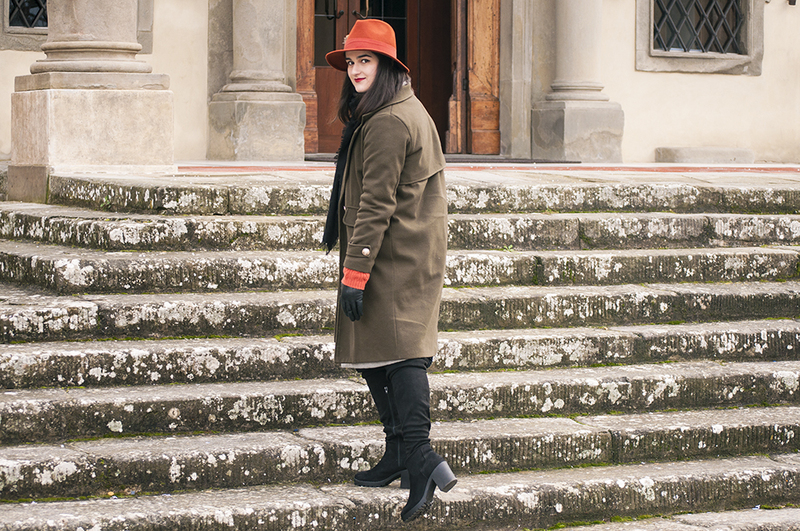 So, we headed by bus to the town of Fiesole to take a look at the vintage market and take some pictures with the impressive Tuscan landscape as a background, as well as enjoying the freezing but still nice day we had, as it's been pretty cloudy and hasn't stopped raining for almost a week. 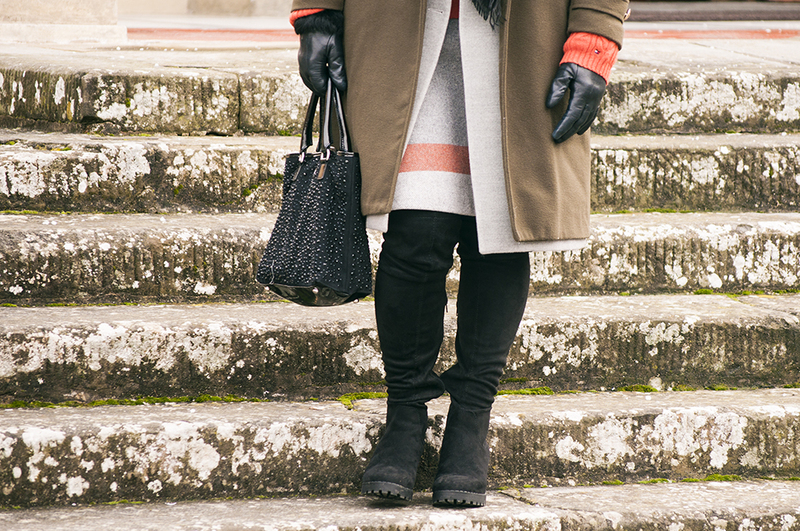 As you can see, I put on my best Michelin Man attire consisting in a wool skirt, sweater, wool vest, cozy coat and knee-high boots to survive, although it finally wasn't as cold as I first thought. I also used for the very first time this orange hat that I bought a couple of days prior. 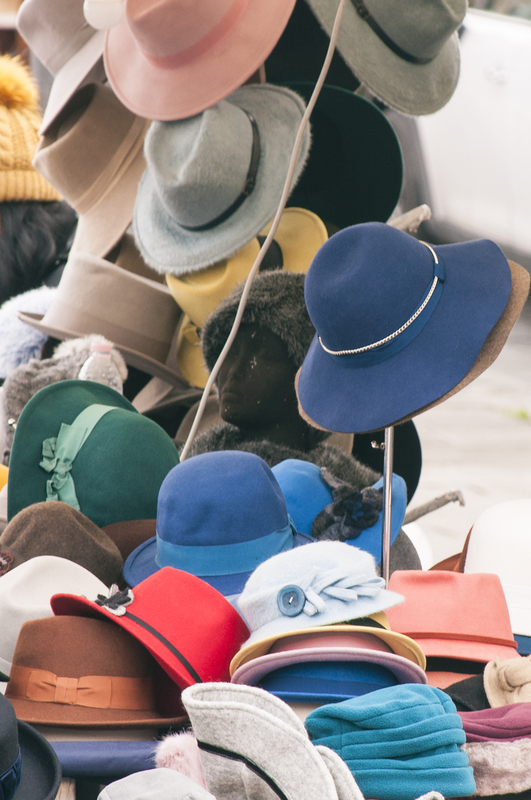 If you've been following me on Instagram lately, you might have seen how obsessed I've been lately with hats and vintage headpieces, which there were plenty of in this market! Actually, I feel quite the vintage-hunter-thing around here! 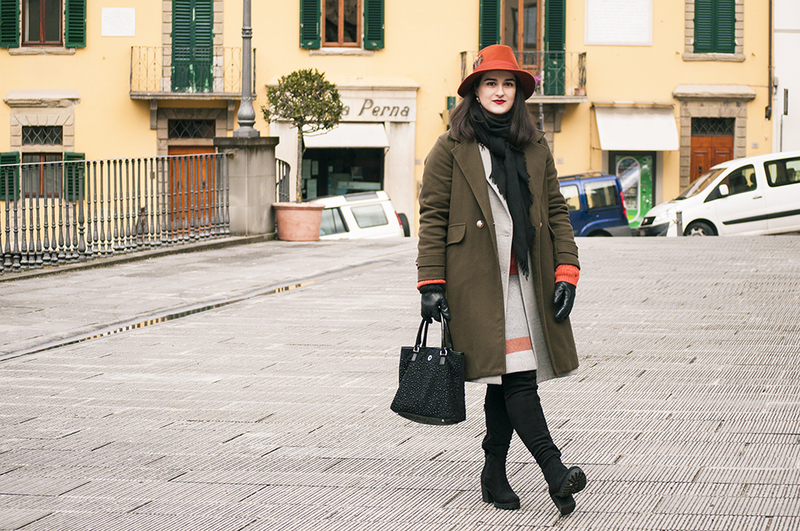 Since I came back from Christmas holidays, I haven't stopped spotting (and buying; guilty here) cool vintage and antique thrifty things both in markets and fairs (cheers to the Vintage Selection fair at Stazione Leopolda a couple of weeks ago). I couldn't remember when was the first time I found something worth investing on in Spain (although there are great vintage and thrift stores, too! 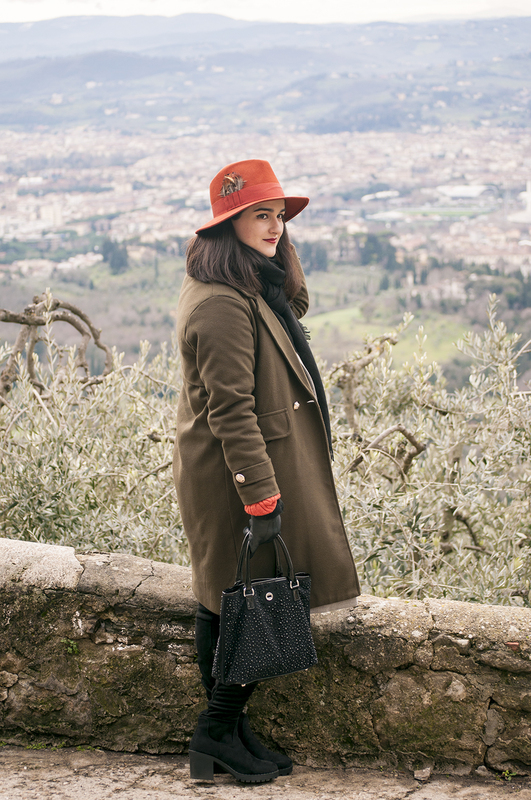 ), but Firenze is such a nice place filled with ah-mazing vintage stores, markets, and spots to go take a look and fall in love helplessly with nice clothing pieces or accessories. I just couldn't help it. The fun thing will come once packing my bags for my Spanish comeback. THAT is going to be quite the event, but anyways, I'll keep you updated on that. Your orange hat is stunning, what a great find! :) It goes so perfectly with your outfit. 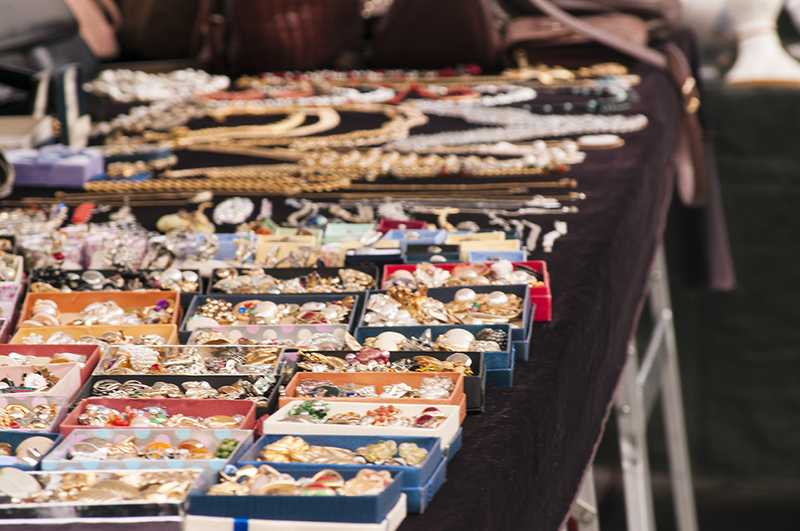 It's nice there are so many fun markets and place to buy vintage things! There are a few nice stores here but I so rarely have the time to browse with the little ones!